An essential part of a public botanical garden is visitor education and being a docent is my small way of helping with that mission. It is about as stress-free as anything could be. 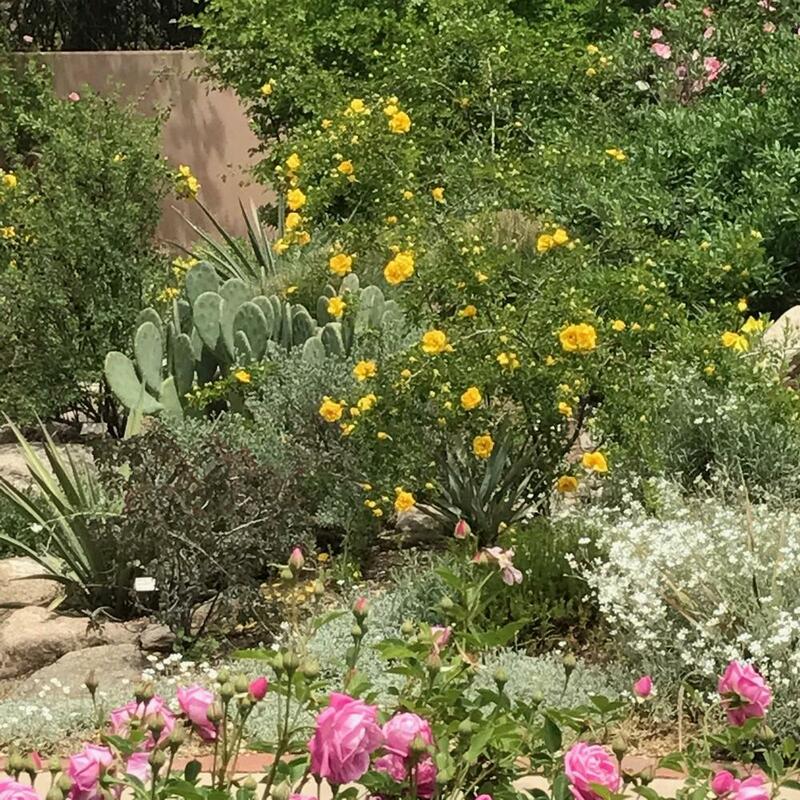 But it was with some trepidation that I heard Cheri V., our education curator say, “The garden manager wants to see you.” What sort of trouble was I in? What rule had I broken? As it turned out, Catherine H. wanted to offer me a job: plant identification specialist. The garden had received a grant to fund two years of plant labeling activities and I was to become “the plant label guy.” After more than 30 years, I was going to put my grad school plant taxonomy to work. 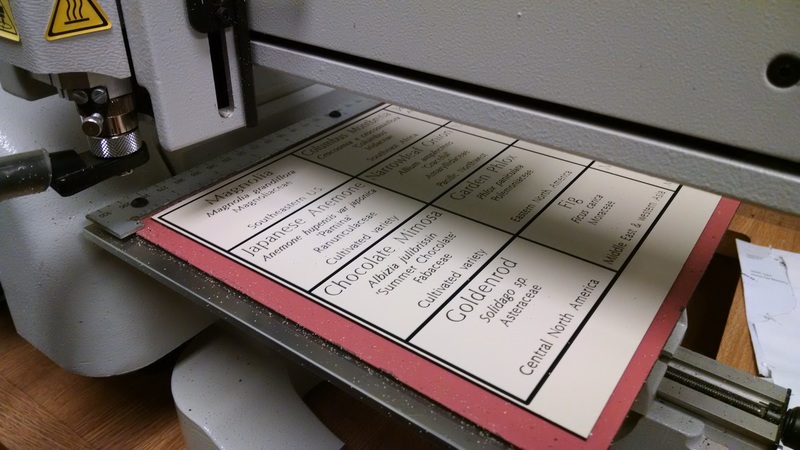 Jon S., our Curator of Plants, gave me a crash course in label engraving and I was turned loose on the garden. 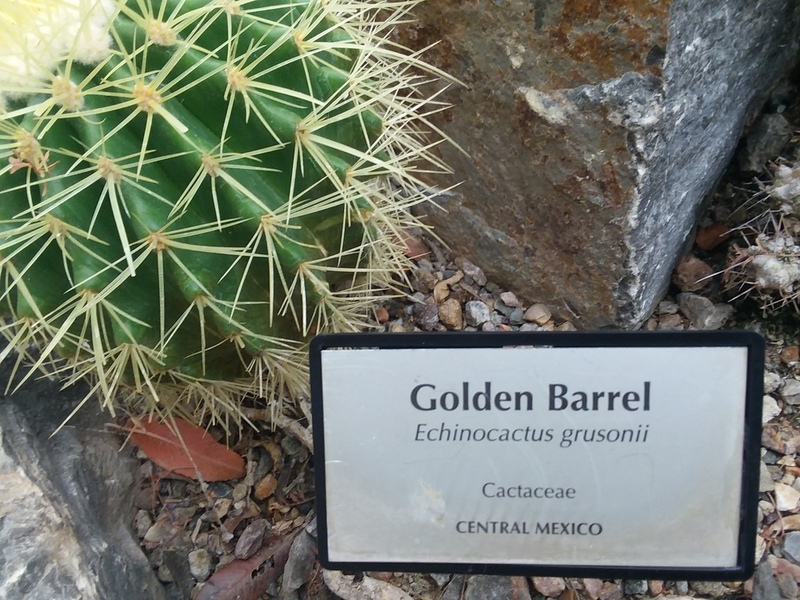 There were already more than a thousand labels out in the 36 acres of the Albuquerque BioPark Botanic Garden, but there were hundreds of species and varieties that still needed labeling. New accessions always need identification labels, other labels succumb to the harsh Southwestern sun, and some labels go home with overly enthusiastic visitors as souvenirs. It turns out some areas have specialized labels. The Heritage farm has rustic wooden ones and the Cottonwood Gallery has full-color large format signage. The Sasebo Japanese Garden has no labels—that's a cultural tradition. 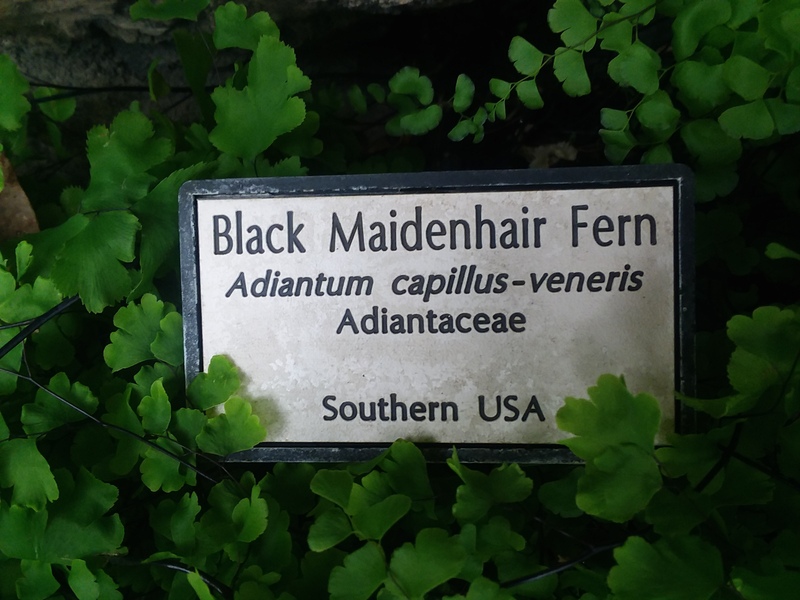 My job was just to put the standard black-on-white labels by as many plants as possible without making the garden look like a cemetery. The result has been 296 different species or cultivars identified and 335 individual plants labeled so far this year alone. With autumn coming on, one would think labeling would slow down, but there are plenty of fall-blooming flowers and lots to identify in the two glass conservatories. Once winter comes there will still be trees and other robust perennials that can be identified by needles, bark, and bud scales. Not only that, but in winter I can locate tags that were covered over by summer growth and add extensions to their stakes for better visibility. It seems like my work as the plant label guy won't be ending anytime soon. -Story contributed by Karl H., Albuquerque BioPark Botanic Garden garden docent.